The Grand River Lodge is a remote getaway for those seeking outdoor adventure. 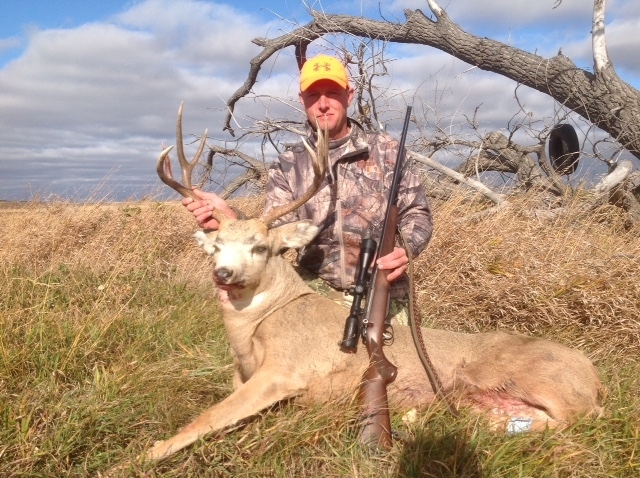 Premier upland bird hunting, mule deer, whitetail deer, antelope, and prairie dog hunting are offered in the most beautiful setting of the Grand River of South Dakota. We offer full service lodging and excellent hunting with affordable rates. We would love to share this truly unique land with you! We operate over 12,000 acres of private land in Corson and Perkins County, South Dakota. We manage the land to encourage wildlife including the planting of food plots, leaving a portion of cropland unharvested for wildlife and using management intensive grazing to promote wildlife habitat. We love the land, we love the outdoors, and we love sharing it with you. Contact us today and find your adventure.